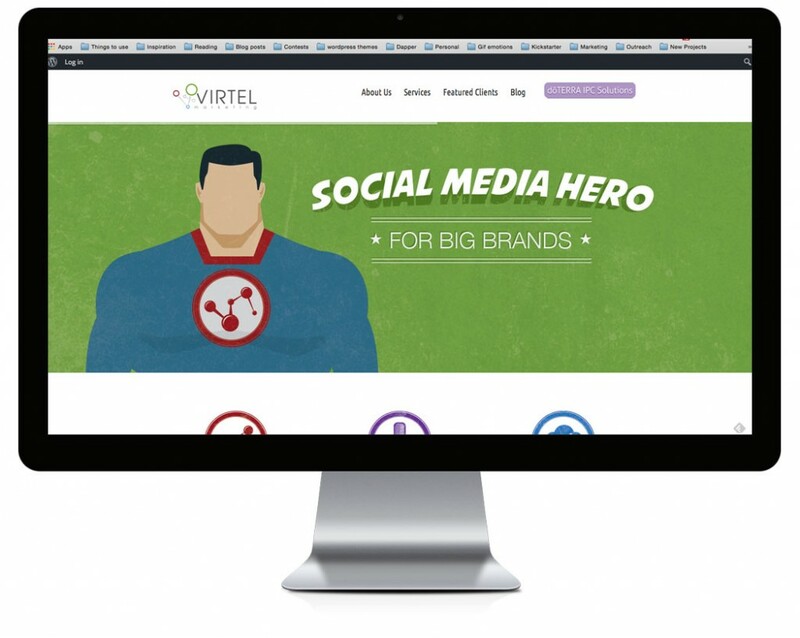 At the begging of 2013 I started at Virtel Marketing. One of the first projects I was asked to work on was upgrading our branding and website. Along with my arrival at the company, we decided to add a few more services to the companies repertoire. We explored different options which based off of inspiration from the core competencies within the company. 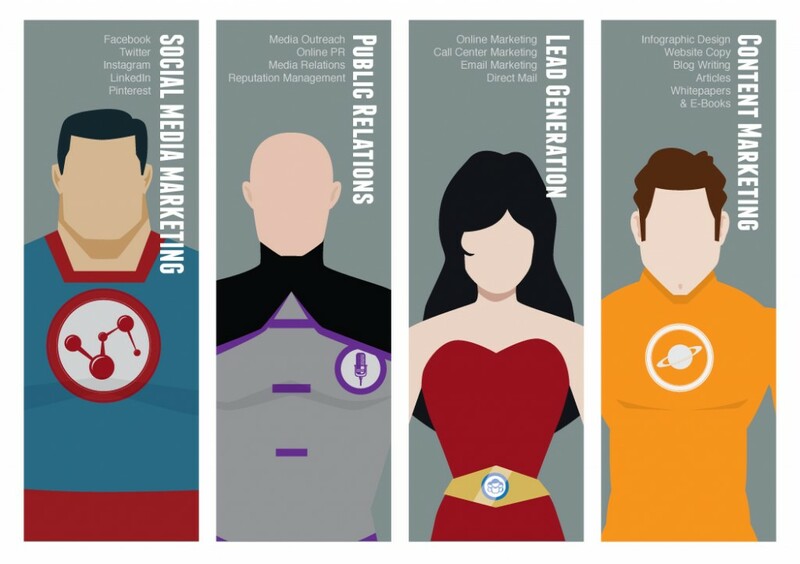 We gained inspiration from schools, social networking and super heroes. Because the company culture was fun and adaptive we wanted to represent the company with a similar voice in the brand. I utilized hero art work for that fun and playful vibe but also to encourage the thought that we were the hero ready to help lift businesses in a single bound. The heroic characters I created we incorporated throughout the companies branding. From internet banner ads to booth signage. We utilized the brand and the message to gain likeminded clients.